Kred is useless though, all it does is count Twitter Re-Tweets and stuff. 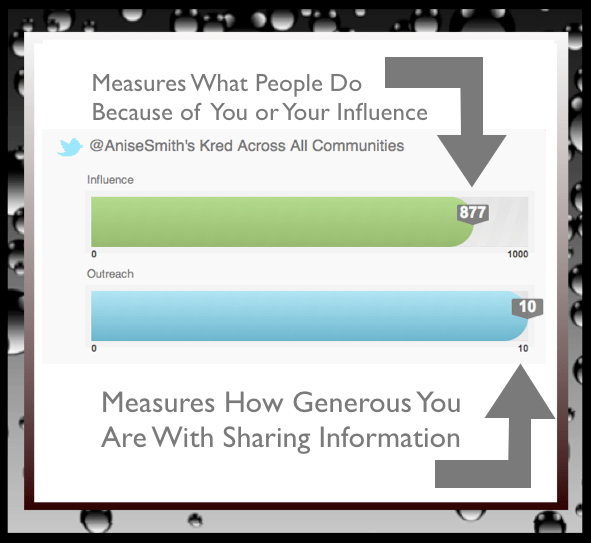 There is something to be said about an algorithm that approximates real influence, but as you can see by the add up, all Kred does is give you 10 points for getting an @ mention. It would be extremely easy to game. Hey Adam! 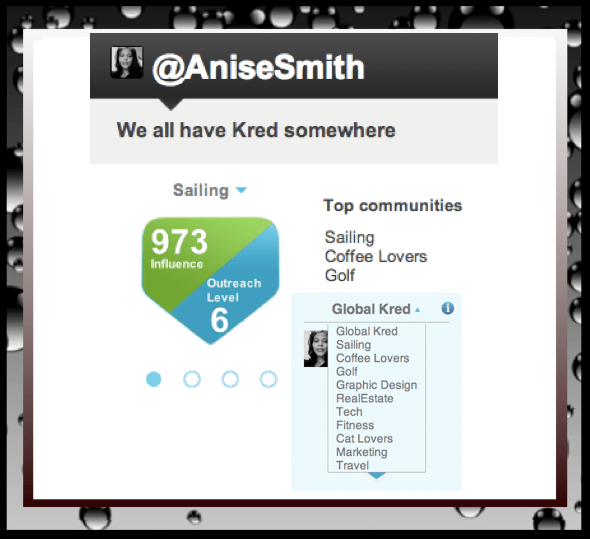 I initially thought Kred would be a Klout Clone, however it really REALLY isn’t. If you have a chance see if you can sit through one of the Kred Demo’s it will give you a much better picture of the platform. 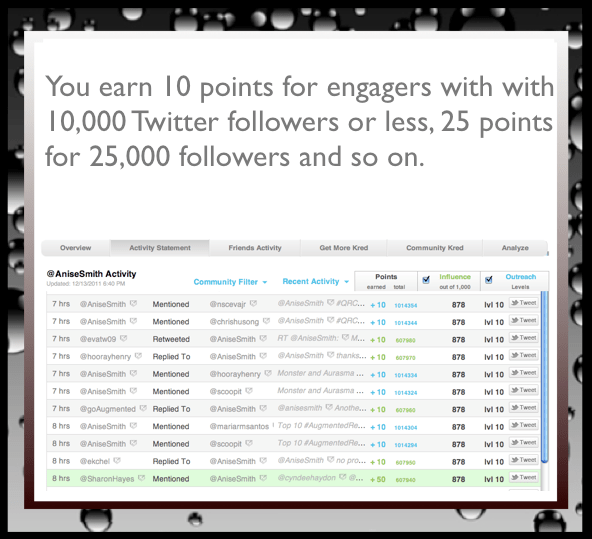 It is much MUCH more than an avenue to count tweets. Adam, The transparency is (in part) meant to help expose attempts at gaming the system. Also, the communities mean that even if someone tries to game their score Globally, it may have no effect on their score in (for example) the Dog Lovers community. Finally, the dual score for Influence and Outreach can be used as a way to sniff out people trying to game the system — someone with high Outreach and low Influence is @ replying a lot but their content is not making much community impact. Anise, Thanks for your incredibly generous post. It’s great to see people in our community as excited about Kred as we are! Many of the features in Kred started as suggestions from our peers and colleagues, so definitely ping us with your ideas as you use the service. Hi Shawn! You are very welcome! I must THANK YOU for providing us with this amazingly awesome platform! I am very excited about Kred and a lot of people in my Internet Marketing Circles are as well! 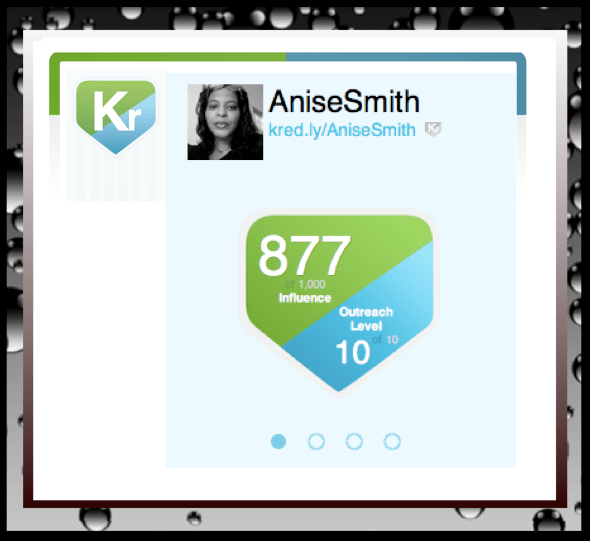 Anise, this is great info and feedback on Kred! I haven’t gone into detail with the features but I like what I see and its better now that you explained some of the background. Excellent Post!